Hey guys! My husband David and I recently went for a week-long road trip along the Pacific Coast Highway for our honeymoon and it was absolutely breathtaking! The whole trip made me fall in love with California all over again. The trip was incredibly romantic and the views didn’t hurt either. 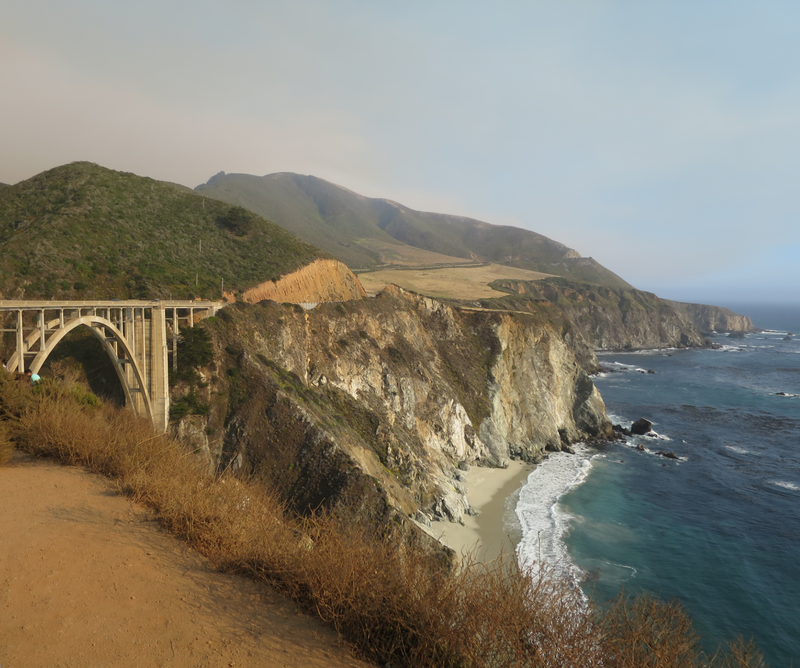 So, I thought I’d share with you my Pacific Coast Highway road trip guide so you can enjoy them as well! The Fisherman’s Wharf is always bustling with people. There are countless of places to eat, drink, and buy souvenirs. The docks provide a nice view of the Golden Gate Bridge and the gorgeous water. Also, there are sea lions sun bathing towards the middle of the docks, which is an adorable sight. Lombard Street is a famously known for its windy, steep, zig-zag formation. It’s a great spot to walk by and watch the cars drive through (very slowly). Plus, towards the top of the street, you get a beautiful view of the city. The Golden Gate Bridge is by far one of the most beautiful landmarks I’ve ever seen in my life. If you’re in San Francisco, you NEED to stop by the Vista Point to get a look at it close up. The Vista Point has paths with wildflowers that lead you down towards the water, and it’s the perfect place to snap some pictures. Parking is cheap and the views are priceless. 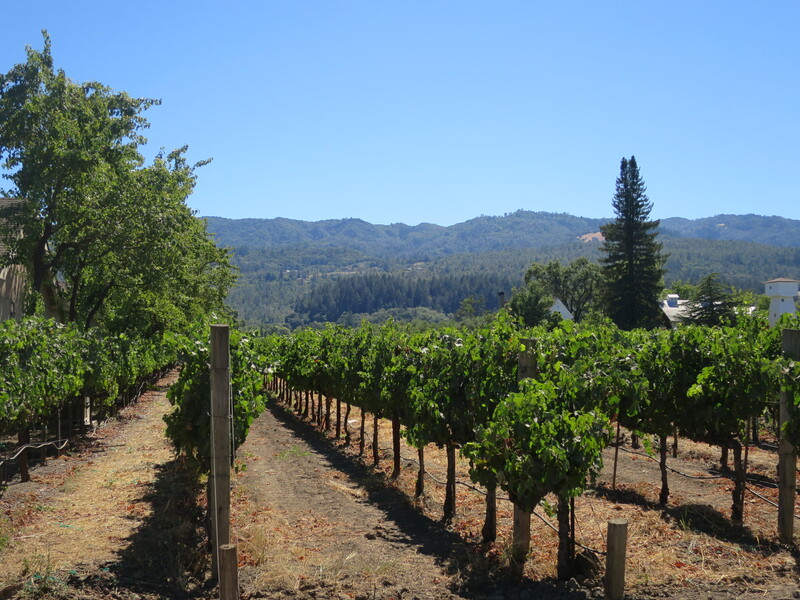 Surprise, surprise, Napa has great wine! And, there are hundreds of wineries to choose from. David and I took an Uber to 2 wineries. One I’d definitely recommend is Whitehall Lane Winery. The wine tastings can get pretty expensive, so I highly recommend asking your hotel for coupons or asking your first winery for coupons to the other wineries (which they should happily provide). 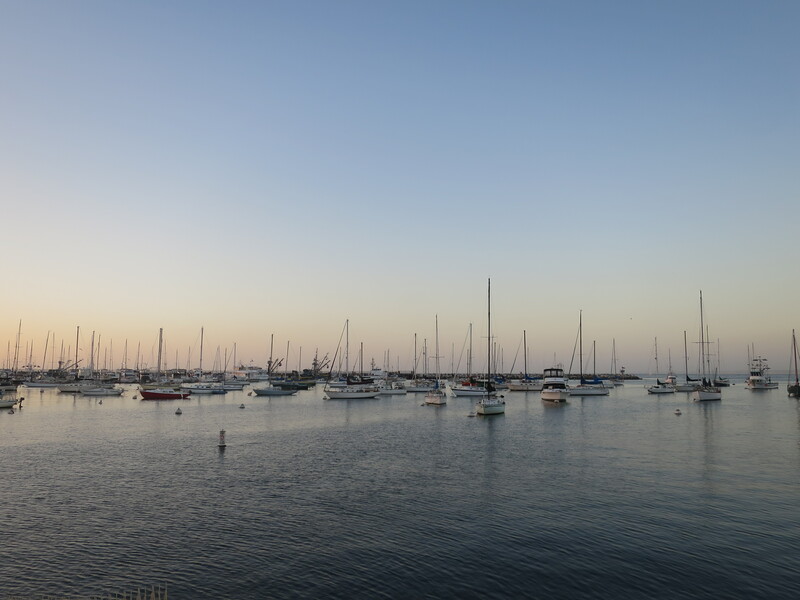 Similar to the Fisherman’s Wharf in San Francisco, Monterey’s offers lots of people, great food and drinks, and souvenirs. Nearby, I highly recommend Alvarado Street Brewery, which is a beer-lovers dream and offers a vegan “double double” burger (which was freakin’ amazing). This gorgeous state reserve offers hiking trails for all different skill levels and gorgeous cliff views. David and I sat on a bench for a few minutes and just took in the calming beauty of the sea. Make sure to bring some good footwear and sunscreen if you plan on sticking around for the day! This little beach blew me away! 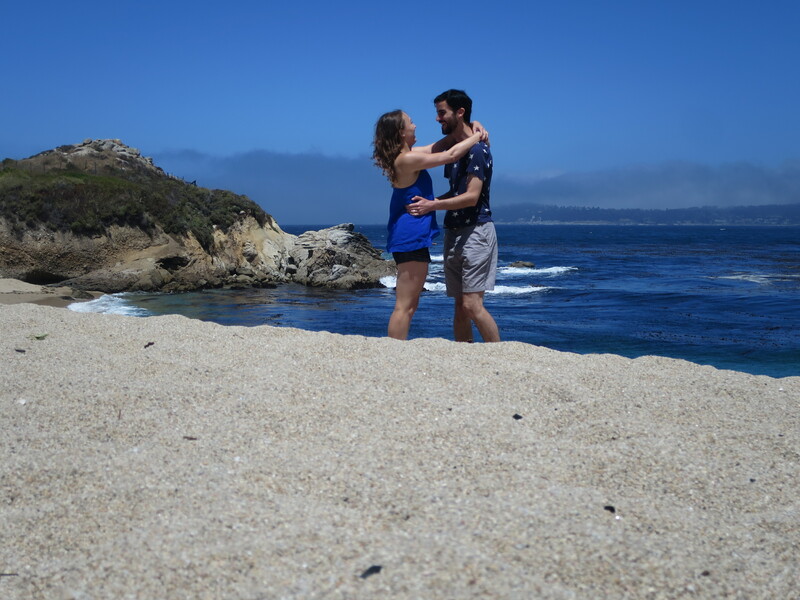 David and I stopped here on a whim on the way to Point Lobos and we were not disappointed. The water is brilliantly blue and the rocks are stunning. Also, it’s not too crowded with people, which is a plus. No PCH trip is complete without a stop at this iconic bridge. It’s an absolutely perfect spot for a photo or to just take in beautiful sights. 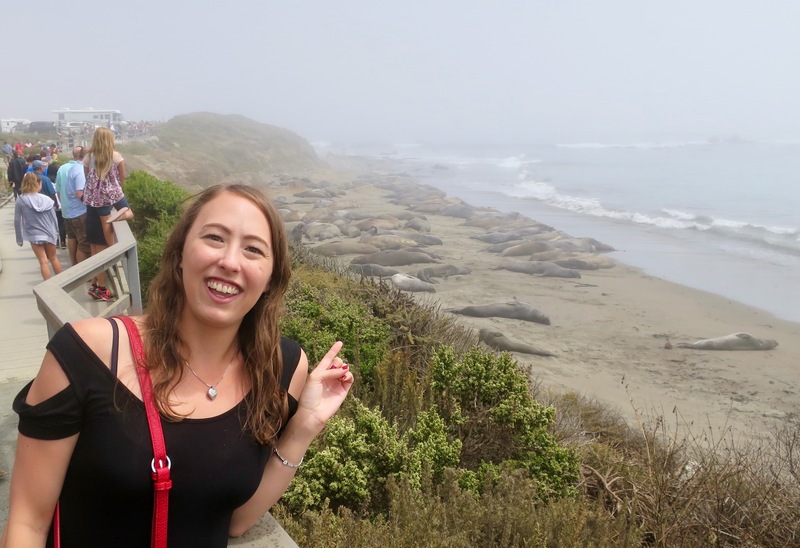 A huge highlight of the PCH trip for me was getting to see the Elephant Seals in San Simeon. As an animal lover, I could’ve honestly stood there for hours watching them. These huge seals spend most of their time sleeping, but the males occasionally wake up to fight with each other and make ridiculous barking/growling noises. These jiggly creatures are insanely bizarre looking, but I fell in love with them. And I think you will too! State Street is the main strip of shops, bars, and restaurants in Santa Barbara. It can get a bit pricey, but there are tons of options to chose from. One healthy, affordable lunch spot I loved was Natural Cafe. This was an all-around gorgeous beach! It was very clean, family-friendly, and not too crowded. 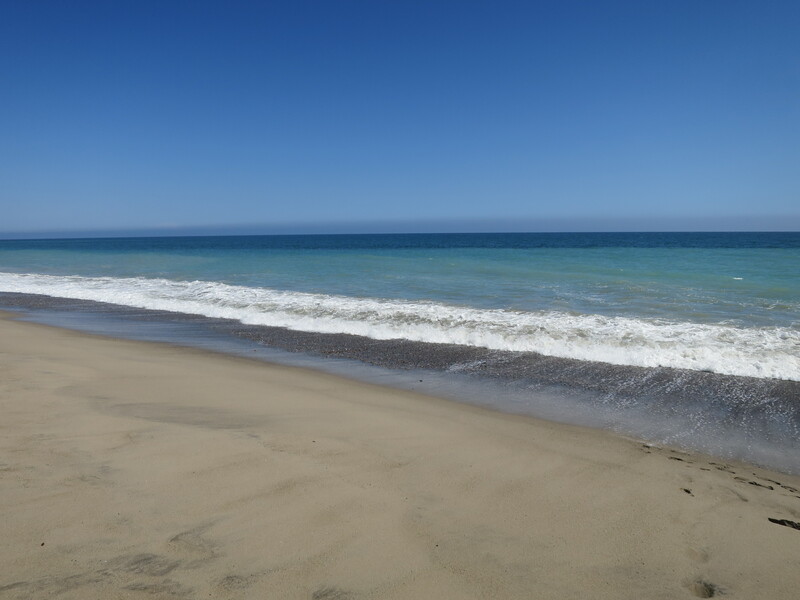 The beach in Malibu is, in my humble opinion, one the most gorgeous beaches in North America. The water is a beautiful ombre of clear, light blue, to dark blue and the surrounding mansions are stunning. 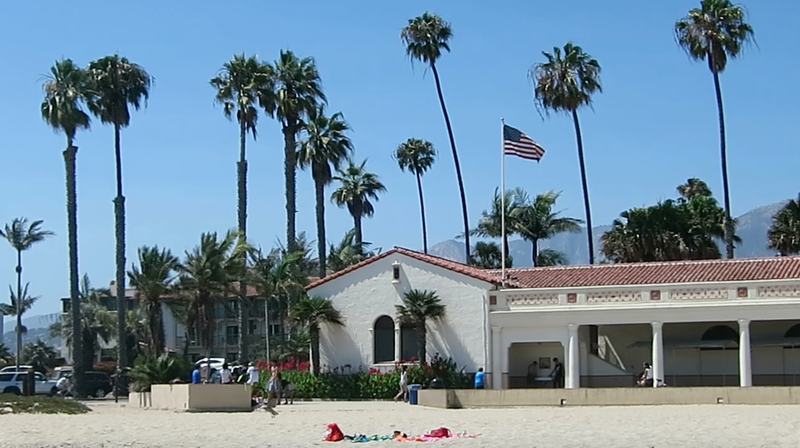 I hope that my recommendations help guide you through a beautiful vacation and make sure to comment below if you have any other recommendations for fun stops on the PCH!